China’s currency tumbled the most in two months as the nation’s markets reopened after a week-long holiday to worsening tensions with the United States. The yuan slid as much as 0.78 per cent to 6.9260 a US dollar yesterday, falling past the support level of 6.9 for the first time since mid-August. Losses extended after 4.30pm local time, the central bank’s reference point for currency fixing the next day. Meanwhile, in Chinese stocks’ worst October start in a decade, foreigners yesterday dumped 9.7 billion yuan (S$1.96 billion) of A shares through exchange links with Hong Kong. This is just short of a record hit eight months ago. 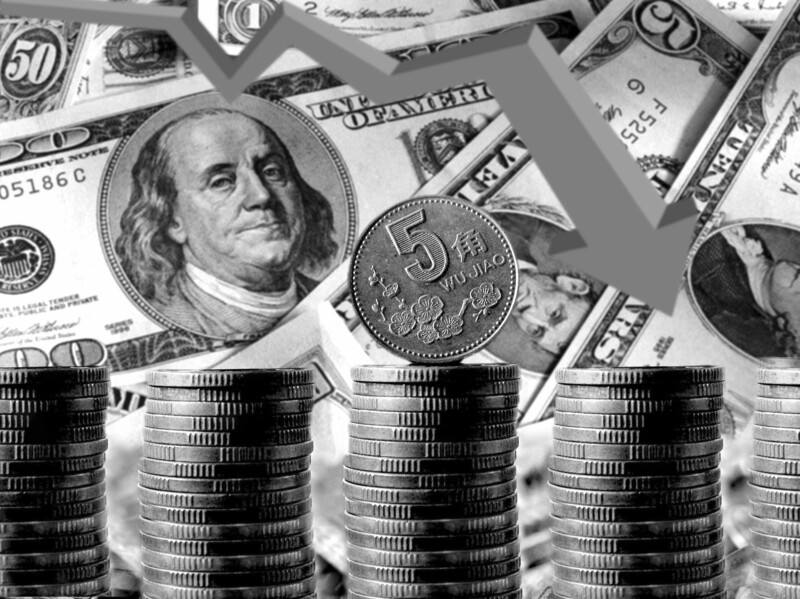 The exchange rate is facing a raft of negative factors, from plunging equities to a looser monetary stance by the People’s Bank of China (PBOC) and a ratcheting up of pressure by US officials. A gauge of large-cap stocks fell almost 5 per cent yesterday, marking the biggest sell-off since January 2016 for the FTSE China A50 Index of large caps, which includes stocks that overseas investors are more likely to own. This is despite the PBOC cutting the reserve ratio (RRR) for banks, while US Secretary of State Michael Pompeo cited “fundamental disagreement” with China’s foreign minister during a visit to Beijing. “Investors are stepping up building positions betting the yuan will drop to 7 per dollar now after the currency breached 6.9,” said investment strategist Ken Peng of Citi Private Bank in Hong Kong. The yuan has tumbled 9 per cent against the dollar in the last six months in one of Asia’s worst performances. If it weakens past its August low of 6.9340, the exchange rate would be the lowest since January last year, when the authorities stabilised the currency through a mix of capital controls and dollar sales. “There will be PBOC management along the way, but the yuan will face pressures to weaken throughout October,” Mr Peng said, adding that the yuan may stabilise next month if government supportive measures boost the economy. Ping An Insurance (Group), Kweichow Moutai and Hangzhou Hikvision Digital Technology – old favourites that jumped at least 97 per cent last year – were the most sold by overseas traders yesterday. “Foreign investors turned bearish, unlike their previous optimistic buying of Chinese A shares,” said Mr Steven Leung, executive director at UOB Kay Hian in Hong Kong. International investors had started to load up on Chinese shares as global index compilers increased weightings of yuan-denominated shares on their benchmarks and a slump made valuations more compelling, relative to global peers. The nation’s equity market had already lost US$2.4 trillion (S$3.3 trillion) in value since January before yesterday, amid signs that deleveraging and a US trade spat are hurting economic growth.